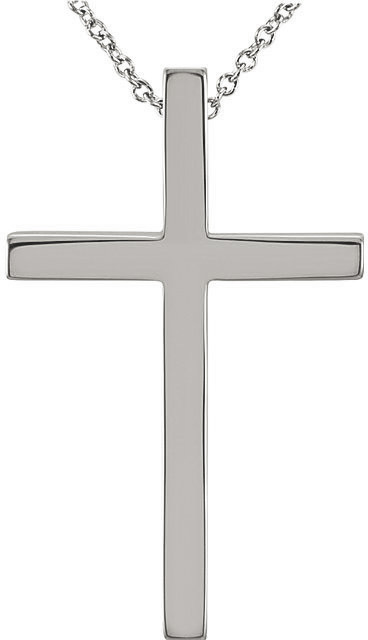 A plain, high-quality, polished white gold cross necklace for women with hidden bale, crafted in your choice of 14k or 18k white gold. 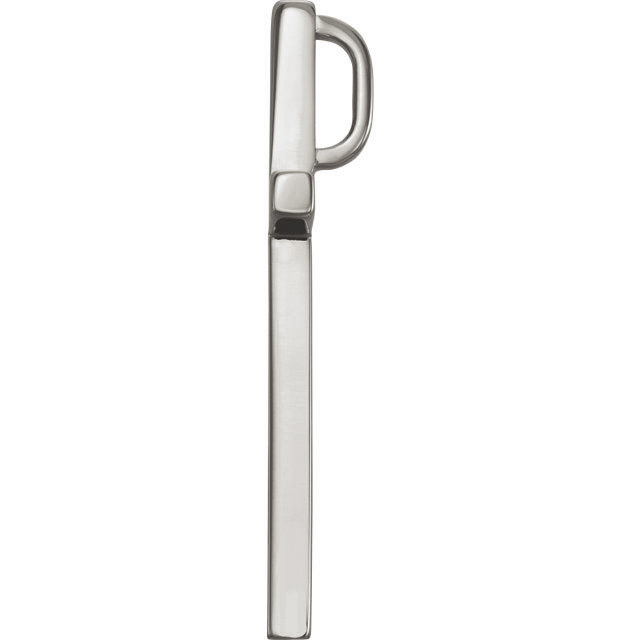 The necklace is a matching 14k or 18k white gold 1mm cable chain. Also available in yellow gold or platinum (shown below). We guarantee our White Gold Cross Necklace with Hidden Bale to be high quality, authentic jewelry, as described above.